The key to a successful housing development is one that builds community — a sense of place that is appealing, pedestrian-friendly, and financially viable. 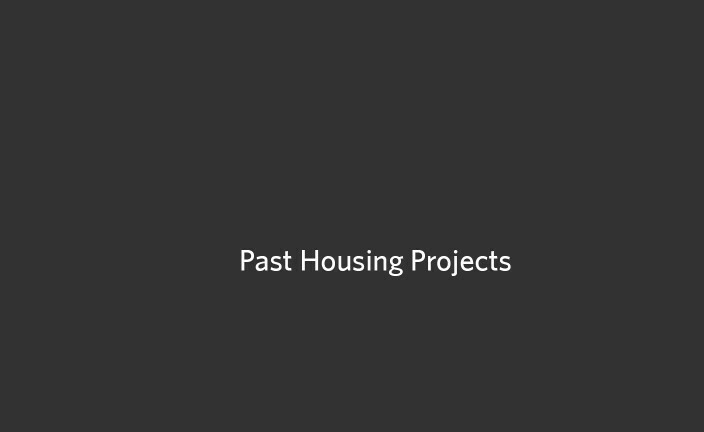 Whether working in affordable housing, commercial housing, or student housing, we need to first analyze the existing site, consider current trends, the way people move, the living conditions of the residents, the potential views, the topography, and more. To truly build community, there needs to be a conscious effort to improve the communal spaces in the development by defining transitional zones between what is public and what is private. From the sidewalk, to the front lawn, to the stoop, to the entry door, is a sequence that is ever so important in neighborhood planning. It encourages more people to see each other and socialize, which builds a safe and friendly environment, and most importantly, an appealing environment that people want to live in for a high quality of life.